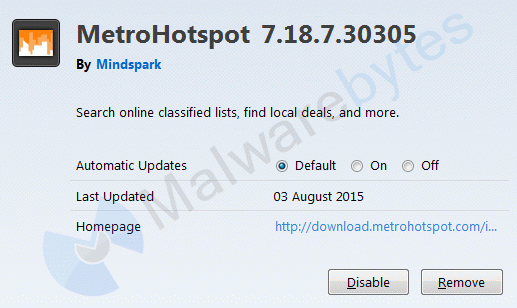 The Malwarebytes research team has determined that MetroHotSpot is a browser hijacker. These so-called "hijackers" manipulate your browser(s), for example to change your startpage or searchscopes, so that the affected browser visits their site or one of their choice. This one also displays advertisements. 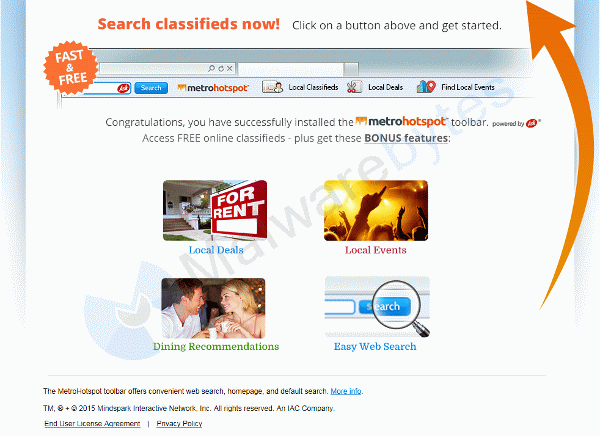 MetroHotSpot is a Mindspark/Ask toolbar. How do I know if my computer is affected by MetroHotSpot? How did MetroHotSpot get on my computer? 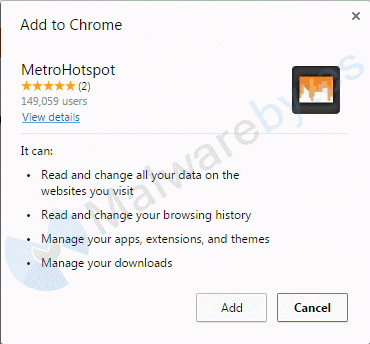 How do I remove MetroHotSpot? 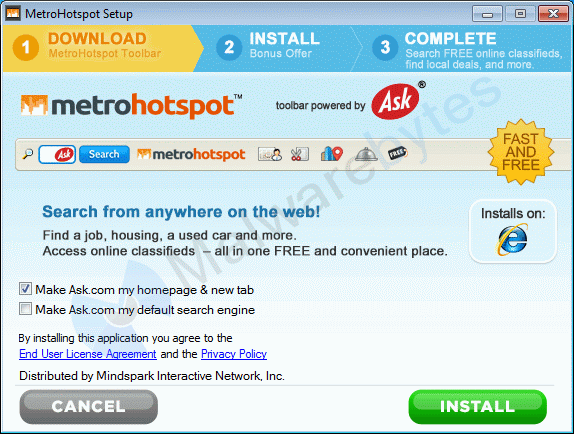 Is there anything else I need to do to get rid of MetroHotSpot? 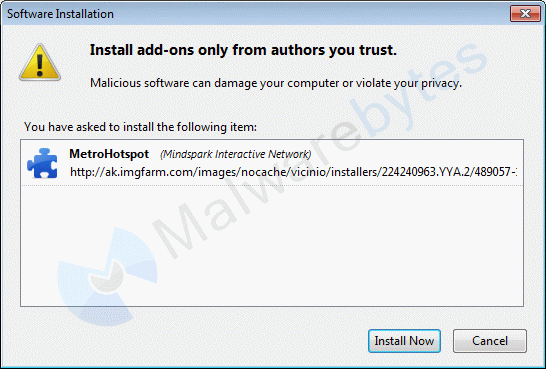 As you can see below the full version of Malwarebytes Anti-Malware would have protected you against the MetroHotSpot hijacker. It would have warned you before the hijacker could install itself, giving you a chance to stop it before it became too late.